A BRAND-FIRST Exclusive. 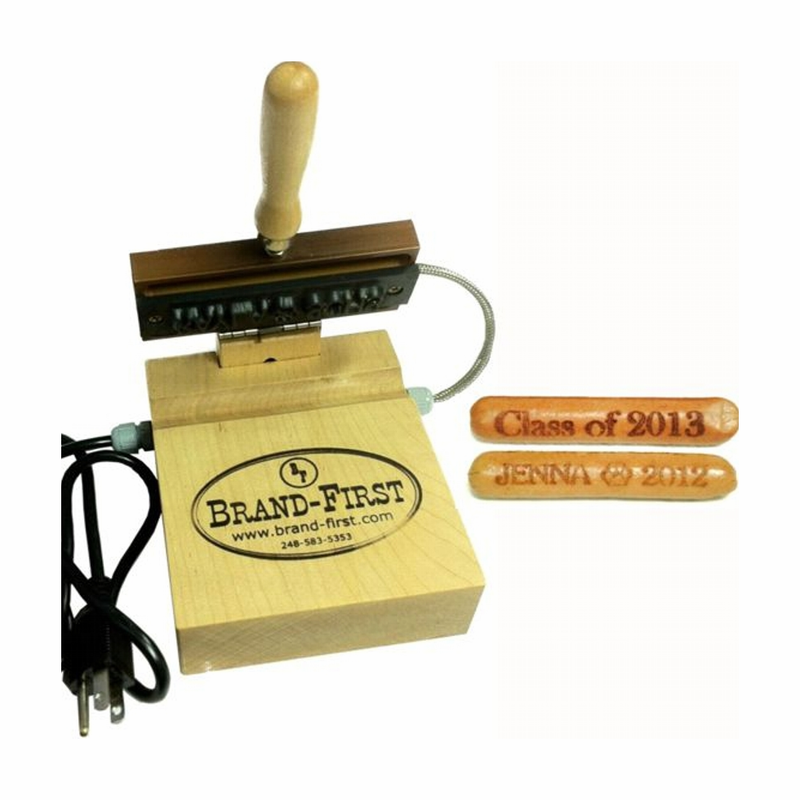 Our hot dog branding machine is a great new way to acknowledge special occasions and events, advertise or promote your business. Perfect for graduation parties, corporate sponsored outings and picnics, caterers, restaurants, sports concessions or fund raisers. Unit comes with one non-stick branding plate, engraved with your name or logo. Interchangeable Non-Stick branding plates simply attach quickly to the heating plate with two stainless steel Phillips head screws. This branding machine can also be used for non-food branding applications. Brand or hot stamp the length of a wood dowels or rods from 1/4" to 1-1/4" diameter. With minimal adjustments the machine marks small diameter drum sticks. See the video below.